Richard D. Draper is an Emeritus Professor of Ancient Scripture at Brigham Young University (1988 to 2010). He earned a Ph.D. from Brigham Young University in History, 1988, specifically in Ancient Near Eastern history, Roman history, and Early Christian history, with a minor in ancient Greek philosophy and literature. He earned an M.A. from Arizona State University in History, 1974, with a major in American westward movement and minor in medieval ecclesiastical history. He earned a B.A. from Brigham Young University in History, with a minor in Psychology, in 1968. 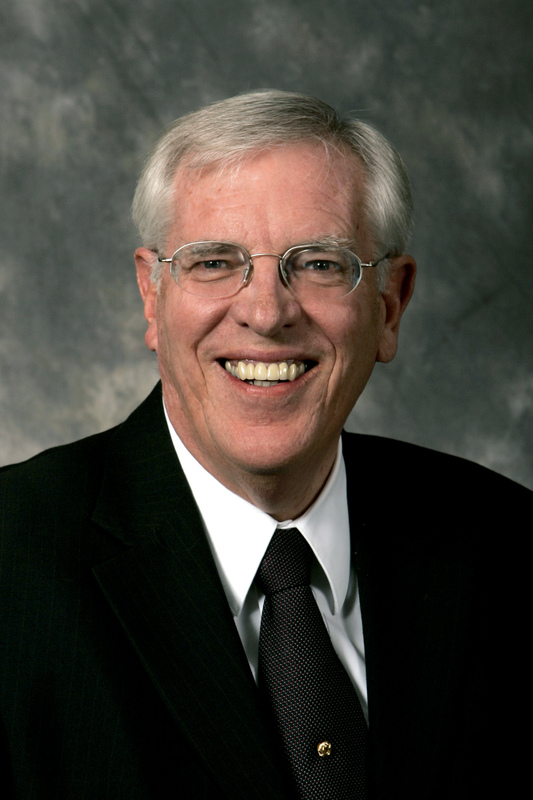 He was Associate Dean of Religious Education at BYU, 2004-2007, and Managing Director of Publications at the Religious Studies Center, Brigham Young University, 2001-2004. He is married to Barbara Ellen Johnson; they have six children. New Testament Commentary publication: The Revelation of John the Apostle, 1 and 2 Corinthians, and Hebrews. Opening the Seven Seals: The Visions of John the Revelator (Salt Lake City: Deseret Book, 1991; reprinted 2006 reprint). The Prophecies of Jesus. American Fork, Ut: Covenant Communications: 2002. A Fullness of Joy. American Fork, Ut: Covenant Communications: 2001. The Ministry of the Apostles. Provo, Ut: Brigham Young University, 2000. Editor with Daniel K Judd and Craig J. Ostler, The Testimony of John the Beloved. Salt Lake City: Deseret Book, 1999. “Understanding Images and Symbols in the Book of Revelation,” Shedding Light on the New Testament: Acts–Revelation, ed. Ray L. Huntington, Frank F. Judd Jr., and David M. Whitchurch (Provo, UT: Religious Studies Center, Brigham Young University, 2009). “The Exalted Lord,” Shedding Light on the New Testament: Acts–Revelation, ed. Ray L. Huntington, Frank F. Judd Jr., and David M. Whitchurch (Provo, UT: Religious Studies Center, Brigham Young University, 2009). “The Apocalyptic Witness of the Messiah,” Sperry Symposium Classics: The New Testament, ed. Frank F. Judd Jr. and Gaye Strathearn (Provo, UT: Religious Studies Center, Brigham Young University; Salt Lake City: Deseret Book, 2006). “The Earliest New Testament,” in How the New Testament Came to Be (Provo, Utah: Religious Studies Center, Brigham Young University, 2006 and Salt Lake City: Deseret Book, 2006. “The Apostolic Ministry of the Twelve and Seventy,” in Richard Neitzel Holzapfel and Thomas Wayment, The Life and Teachings of Jesus Christ: From the Transfiguration through the Triumphal Entry. Salt Lake City, Deseret Book Company, 2006. “From the Annunciation through the Young Adulthood of the Lord,” in Richard Neitzel Holzapfel and Thomas Wayment, The Live and Teachings of Jesus Christ: From Bethlehem through the Sermon on the Mount. Salt Lake City, Deseret Book Company, 2005. “The First Coming of the Lord to the Jews: A Book of Mormon Perspective,” in Religious Studies, Book of Mormon Treasury. Salt Lake City: Deseret Book, 2004. “Jesus’ Prophecies of His Death and Resurrection,” in Richard Neitzel Holzapfel and Thomas A. Wayment, From the Last Supper through the Resurrection: The Saviors Final Hours. Salt Lake City: Deseret Book, 2003. “Teaching the Book of Revelation: Five Considerations.” Religious Educator 14, no. 1 (2013). With Donald W. Parry, “Seven Promises to Those Who Overcome: Aspects of Genesis 2-3 in the Seven Letters.” In The Temple in Time and Eternity, ed. Donald W. Parry and Stephen D. Ricks. Provo, Utah: Brigham Young University. “‘Scribes, Pharisees, Hypocrites’: A Study in Hypókrisis,” in The Disciple as Scholar: Essays on Scripture and the Ancient World in Honor of Richard Lloyd Anderson, ed Stephen D. Ricks, Donald W. Parry, and Andrew H. Hedges. Provo, Utah: Foundation of Ancient Research and Mormon Studies, 2000. “The Apocalyptic Witness of the Messiah,” in Daniel K Judd, et. al., ed., The Testimony of John the Beloved. Salt Lake City: Deseret Book, 1999. “Peter: Fisher of Men,” in John Scott, ed. Riches of Faith. Provo: Aspen Book, 1995. “L. Q. Cincinnatus,” “L. C. Cinna,” “Cleomenes III,” “Gelon,” “Herodian,” “Hippodamus of Miletus,” “Lysander,” “Numa,” “Phocion,” “Servius Tullius.” Andrew G. Traver, et. al., ed., Interdisciplinary Biographical Dictionary (Hammond, Louisiana: Greenwood Press, 2000). “New Light on Paul’s Teachings,” Ensign, September 1999, 22-28. “The Reality of the Resurrection,” Ensign, April, 1994. With David Whitchurch and Thomas Wayment, Multimedia materials for BYU New Testament courses 211 and 212. “The Temple of Herod: A Video Tour.” 1999.